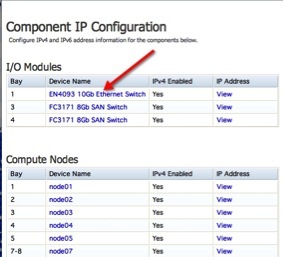 To assign IP’s to your PureFlex network and fibre channel (FC) switches, you will use the Chassis Management Module (CMM). First off, log into the CMM using your admin credentials (USERID is the default). 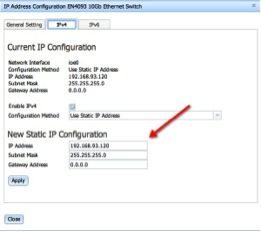 Here, you can configure the management IP for the EN4093 10GB Ethernet Switch in your IBM PureFlex chassis. Hit apply when your complete and you’re complete!